Roatan, a Caribbean paradise, is the perfect beach and scuba diving stop along your journey through Central America. Need a budget hotel? Roatan Backpackers' Hostel is friendly, clean and fun, and is a cheap place to stay. Located in Sandy Bay, Roatan, Honduras, just a few minutes walk from the Carambola Botanical Gardens and the dolphins at Anthony's Key Resort and a few minutes in bus or taxi from West End, the hostel is set in a friendly residential neighborhood. If you're not interested in sharing a dorm, we also have private single and double rooms, with shared and private bathrooms, or apartments and houses available with your own kitchen and bathroom for guests looking for more privacy. For pricing, see our rates and contact page. Roatán, un paraíso caribeño, es la parada perfecta de playa y buceo a lo largo de su viaje por América Central. ¿Necesitas un hotel económico? Roatan Backpackers' Hostel es amigable, limpio y divertido, y es un lugar barato para quedarse. Ubicado en Sandy Bay, Roatán, Honduras, a solo unos minutos a pie del Jardín Botánico Carambola y los delfines en Anthony's Key Resort y a pocos minutos en taxi de West End, el hostal se encuentra en un agradable vecindario residencial. ¿No le interesa compartir un dormitorio, prefiere tener una habitación privada? Tenemos habitaciones tipo loft, privadas con baño compartido, o apartamentos y casas disponibles con su propia cocina y baño, para los huéspedes que buscan más privacidad. Para precios, vea nuestras tarifas y página de contacto. 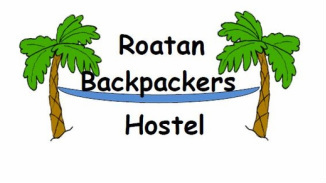 Roatan Backpacker's Hostel is a perfect fit for those on a shoe-string budget. Lonely Planet's Central America on a Shoestring writes 'run by the tireless and super-friendly Mel, who ensures that all new arrivals quickly feel at home. The well-organized hostel has multiple room categories, a communal kitchen, and a pool and subathing patio- complete with its own waterfall. Sandy Bay Beach is just a short walk away. Highly recommended.' Contact us to check availability and start planning your tropical getaway!